Don't know how to upload custom or premade poses? Have a friend that doesn't know? Well, you're in the right place! Here is an easy to follow, step-by-step guide on how to upload artwork from your favorite artists! 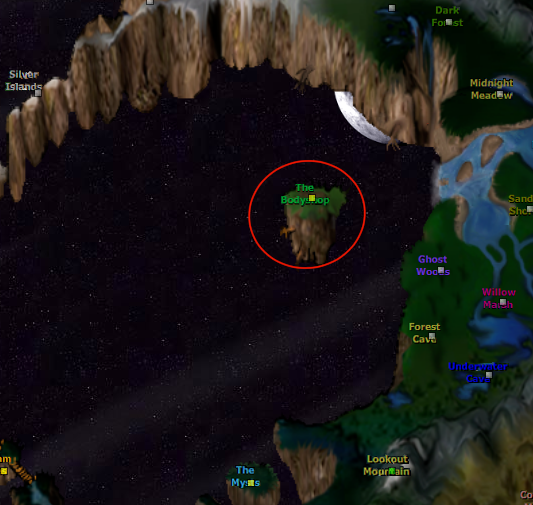 The first thing you'll need to do is log into Wolfhome and go to the Map. On the Map there is a link to a place called "The Body Shop". Once you get here, you can click on "Uploader" or on "Upload your own poses". 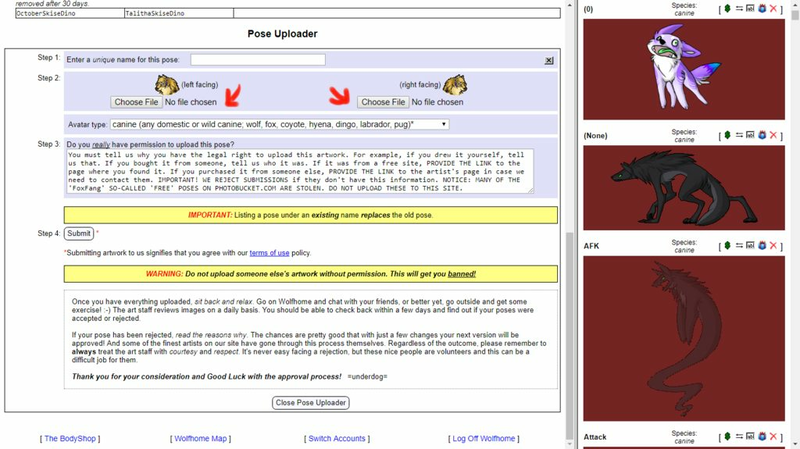 Another way you can get to this page is by typing "!go poses" in a room. You may get a prompt to verify your username and password. 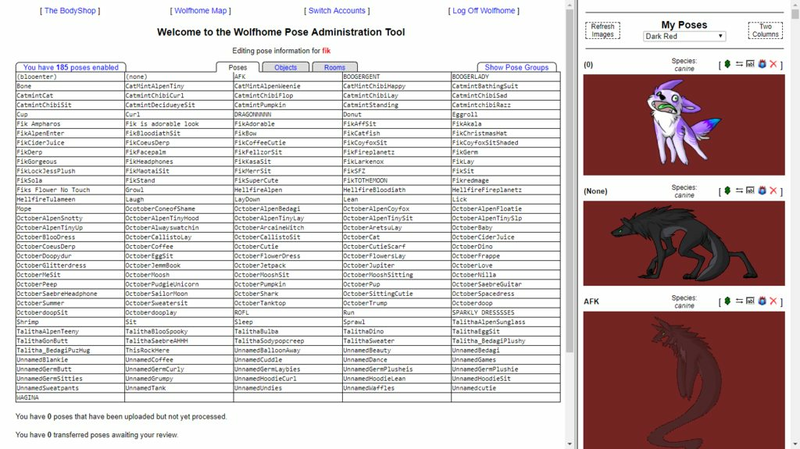 Just enter your Wolfhome username and password and hit "submit" to get to the pose administration page. Another way you can get to this page is to type "http://www.Wolfhome.com/admin" into your URL bar on your browser. This is what the pose administration page looks like. Here you can view all of your poses, including set poses. You can also set up pose groups, rename your custom poses, and set a new enter pose for yourself! 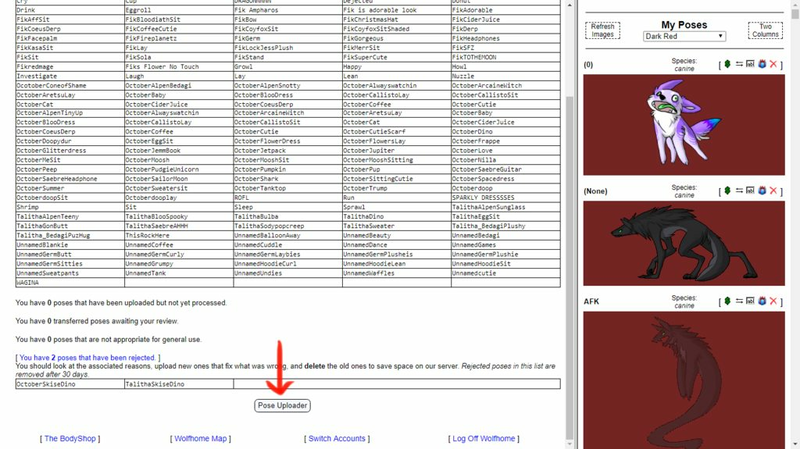 Since we're here to upload a new custom pose, scroll to the bottom part of the page and click on "Pose Uploader"
Click the "Browse" button under the image that has "left facing" written beside it. After you click, a box should come up and you will need to change to the directory where you keep your saved poses. Once you have found your poses, select the Left Facing pose. Double click on it, and that filename should appear in the "left facing" text box. Do the same for your "right facing" image. Please note, all poses must have a right and left facing version or it will be rejected. A note about locating your pose files... 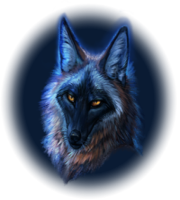 If, for some reason, you click on "Browse" and when it brings up the box you aren't seeing the pose images you wanted to upload to Wolfhome, chances are that you are in the wrong local directory on your computer. In this case you will need to use the dialog box to change to the right directory. In the screenshot below, you'll notice that it says "My Pictures" at the top, and it is a dropdown menu. That's a likely spot for your poses, but you may choose to keep them someplace else. You will just need to figure out where you put them on your computer and navigate to that folder. After you have completed the previous steps, you will need to select a name for the pose that you are uploading. Notice is says, "Enter a unique name for this pose:" meaning, enter a pose name that you don't already have uploaded. If you have a pose uploaded called, "Standing" and you enter in the pose name as "Standing", it will REPLACE THE POSE that is already uploaded! So, be sure to name it something that isn't already being used in your existing pose list unless you actually want to overwrite an existing pose. 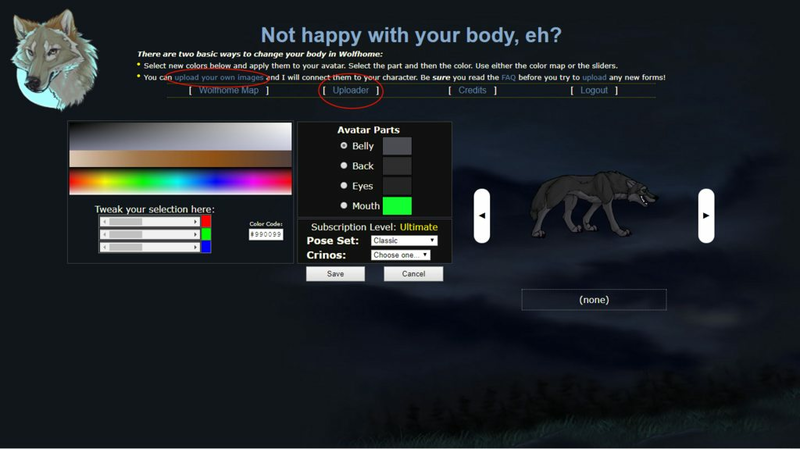 Example, if you have uploaded a wolf, you will want to select the default choice, "Canine (any domestic or wild canine; wolf, fox, coyote, hyena, dingo, labrador, pug)". 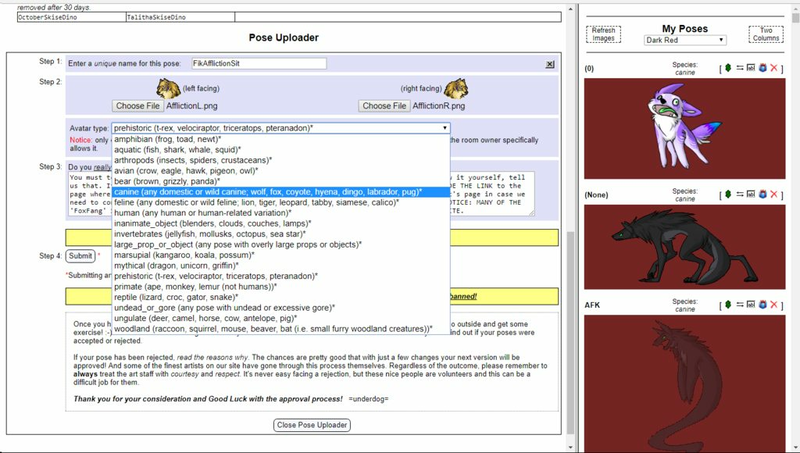 If you are uploading another species, take a look at the choices, and select the appropriate one. If you do not place it in the right spot, the Art Staff will do it for you. Please note: Most pose categories are allowed in public rooms, but there are a few that are not. For a list, please check out the art FAQ. Finally, you'll notice a box that states next to "Step 3", "Do you really have permission to upload this pose?" What you'll need to do here, is you will need to type in the text box, and tell the Art Staff where you got the pose. List whether it is a freebie, and link to the topic where you found it. 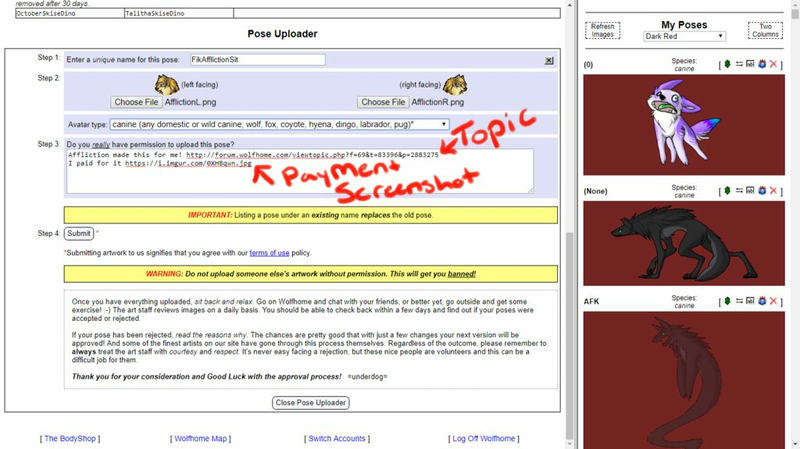 If you bought the pose, and the permissions have not yet been updated, you can take a screenshot of your payment! This will help the Art Staff check your poses quicker! If your provide no information, your pose will be rejected! After you have completed the above, you are ready to upload your pose! What you'll want to do is click, "Submit" by Step 4. It will bring up a box that states, "Are you SURE you have permission to use this pose?" You'll want to select "OK". Keep in mind that Art Theft is not tolerated. If you have uploaded a stolen pose, it is a bannable offense, so please be careful! Now just sit back and relax, and let the Art Staff get to it. You're welcome to ask an art staff about your pose, however, asking multiple staff members or asking repeatedly can be considered harassment. Your pose will be accepted within a reasonable amount of time (usually between an hour and a week, though it does not typically take that long). You can check on your pose in the uploader, or when your pose has been accepted, when you log in you'll have a message stating, "_______ pose has been accepted!" If it has been rejected, you'll also get a message that explaining why your pose was rejected. If you ever have any questions, please don't hesitate to speak to any member of the Art Review Team!